The year was 2009. A farmer from a village called Tiyakati in West Bengal’s western, forested Jhargram district, was returning from his paddy field when one of his neighbours rushed out of his mud hut and shouted, “They are calling us for a meeting. Get there quickly.” When the farmer reached the spot, an open field by the jungle, he saw nearly 200 other villagers—men, women and children. They were all told to gather at the nearest railway station, Banstala. When the Delhi-­bound Rajdhani Express was to pass through, they were to bring it to a halt by throwing stones at it. They did as they were told. “We were called out any time of the day and night to do their bidding,” the wife of the farmer—call her Kamala—tells Out­look. “If we refused, we would be punished. Their demands were many. We were exp­ected to cook for them whenever they arr­ived. The poor would get away by serving just rice and greens or maybe some daal. The rich ones would have to cook eggs, fish or chicken. They came usually unannounced and in large groups. And mostly in the dead of night. But the demand that was feared the most was when they asked us to sacrifice a family member so that they could take him or her with them.” The Maoists—on the ascendant for several years in this area right in the middle of ‘Jangalmahal’, an area made of bits of Bankura, Birbhum, Mid­n­apore districts and tracts of the Chh­otonagpur plateau in Jharkhand—squeezed them dry when there was little to extract. For, the Maoists—members of the banned Communist Party of India (Maoists), who operated through Jangalmahal ever since the mid-1990s—are as extinct as the demons who put a hex on trespassers. Beginning in 2009, they were flushed out in a series of police and paramilitary operations. It was here that Koteshwar Rao or Kishenji, the chief of the Maoists’ Bengal operations, was shot dead in November 2011 in an enc­ounter with Commando Battalion for Resolute Action (CoBRA) and CRPF forces. These forests were the entry point of the militant leader into Bengal from Andhra Pradesh via Jharkhand. Aiming to trigger Maoist operations in the state, Malaboti’s thick vegetation offered perfect cover to the rebels, who poured in and out of the connected series of jungles in the vicinity with practised fluidity. In Malaboti, they set up their earliest t­raining camps in this reg­ion; it was their launchpad into Jangalmahal. That the Maoists had exp­anded their operations into the jungles of West Midnapore would perhaps not have come to light until the then Left Front state government decided to turn towards it for industrial expansion. Or, more accurately, if the Maoists hadn’t tried to thwart the government’s plans of industrialisation. Then chief minister Bud­dhadeb Bhattacharjee had inaugurated a steel plant of the Jindal Group in Salboni in November 2008. On his way back to Calcutta, a bomb blast narrowly missed his convoy. Exp­osed wires of the crude IED that the police dug out of the road was traced to a nearby village. Maoists claimed responsibility, or ‘credit’. It bet­rayed confidence bor­­­­d­ering on audacity; the state government was fair game. The state government denies it, but Maoist-hit Jangalmahal was among the poorest in the entire country. 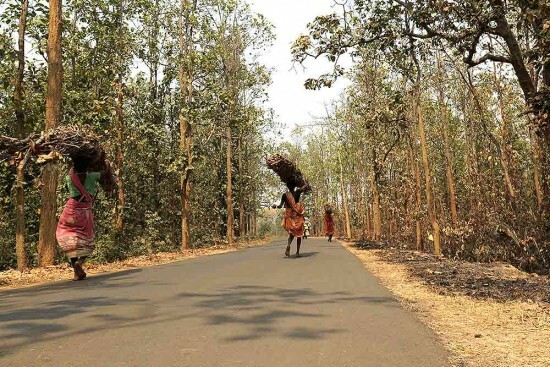 “They felt that Jangal­mahal was their turf,” an official of the then district administration in Jhar­gram, who was in charge of distribution of rural schemes in tribal villages from 1999 to 2011, tells Outlook. “We who worked there knew that the Maoists were there. They had been gathering, rec­ruiting, training and exp­anding.” He claims that the Maoists were running a parallel government. “They had executive and legislative bodies and even a judiciary, which tried people in kangaroo courts.” The peasants who were dragged into their fold—villagers Outlook spoke to said Maoists dragooned at least one member from each family—were paid by them for work done. The former administrative official den­ies allegations that government funds were never properly distributed to Jangalmahal villagers, leaving them impoverished and with no option but to turn to the Maoists. “Maoists made it impossible for us to do any work in the jungle villages. We government officials were their prime targets,” he says. Indeed, so focused is the Trinamool government on keeping Jangalmahal free from Maoists, it has made Jhargram a separate police district for closer scrutiny. The CM has also made it a point to visit Jhargram at least once a month. Outlook’s travels through Jangalmahal indicate that Bengal’s strategy seems to have been effective. 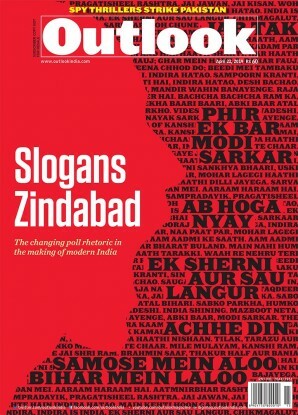 If, through the decade between 1999 and 2009 Jangalmahal had harboured a dark secret, that of bearing militants who, using grinding penury as a tool, kept people on a tight leash through fear and intimidation, the decade since has been a revelation—pol­itical will can usher in change. At the height of the Maoist menace, there was an exodus of youth away, who were terrified of the extremists. After the worse of the threats had been seen off, the state government had all­owed a period of surrender to Maoists, who were promised absorption into the mainstream if they gave up arms. The wife of a former Maoist in Jhargram exp­lains the process of a wily co-option: “The real idealogues didn’t surrender bec­ause they are truly Maoist. They went to jail. But most villagers who were forcibly ind­ucted and given arms training have been absorbed into the police force; they have all turned informers as they know all the hideouts and the secret jungle routes. Maoists are no longer safe here.” She says that the only ‘sympathisers’ remaining are those who have not got jobs in the police or government; even they don’t care about Maoism, but are merely a gaggle of malcontents. “So, they have kept the opportunity open of swinging in whichever direction they will get some benefit from,” she adds. At that height of the Maoist menace, there was an exodus of youth away from these parts, who dreaded the extremist press gang. In sharp contrast to the Naxal movement in Bengal, esp­ecially in Calcutta, which attracted the intellectual urban youth in the late ’60s, locals say the prospect of falling prey to Maoist recruiters mortified the boys and girls of Jangalmahal. Nine years ago—as joint forces combed the forests and hunted out the rebels—when Outlook visited Jangalmahal, people rarely took sides. Scared and suspicious, they spoke in whispers, if at all. “Earlier, if we talked against them (most people will still not utter the ‘M’ word) or didn’t do what they told us to do, they would come at night and take us away, beat us up or kill us. If we sided with them, the police would come during the day and pick us up, beat us up and probably put us behind bars for life,” says Lamba Majhi, a goat herder in Banstala village. The issue is a common one seen in all Maoist-hit areas—poor villagers caught between ruthless rebels and an equally pitiless, punitive state. Villagers say that 20-year-old Majhi was beaten mercilessly by both the police and the militants. “See how stooped he is; that’s because they broke his back,” says a neighbour. Another one cuts in, “That’s because he is so stupid. He should have been agreeing with the police when they picked him up and agreeing with the Maoists when they did.” The villagers break into a loud cackle, including the boy with the broken back. Their laughter has been bought dearly. “We have broken the back of militancy,” thundered Mamata Banerjee at a rally in Jhargram this month. She announced more populist schemes over and above the bicycles for girls and the Rs 25,000 they would get if they complete their school education, as per the Kanyashree scheme. Housing, training in special skills, recruitments in administrative jobs. The dark clouds that passed over Malaboti jungle, wreathing that encha­nted forest in spectral shadows, seem to finally have revealed their silver lining.